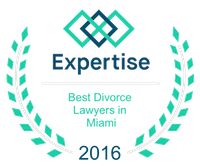 On the Tax Benefits of Marriage | Miami Divorce Lawyers Vilar Law, P.A. For many people, marriage seems like an expected part of life and another one of life's greatest milestones. While people should marry because of love, there are also other benefits that should not be overlooked. Some of these are financial, such as having two incomes (possibly); however, these also include the tax benefits that come with getting married. It is important for people to understand these tax benefits so that they can use them to their advantage. While all of the benefits could potentially fall under this category, getting married does allow people to file jointly. In this manner, if one of the two partners earns significantly less, this can help bring down the overall tax bracket that the family files under. This means that people will wind up paying less in total taxes than they would if they filed separately. This is one of the biggest benefits of filing jointly as a married couple. When people claim deductions on their taxes, these can also be significantly more than they would be if the two partners filed separately. For example, if someone was looking to take a loss on their business, they could apply this loss as a deduction to not only their own taxes but to their partner's taxes as well. This could be a significant amount of money and save the family a large amount in taxes. While losing money should not be a strategy when it comes to business management, it can help to save money in personal income taxes. For those who file separately, there is a limit on how much one person can give someone else. Any amount over this is taxed heavily. When two people are married, they can give each other as much money as they want to without any consequences regarding the gift tax. This also has important implications for the estate tax and inheritance. People should explore this benefit fully before making any decisions. Some of these benefits can appear confusing; however, there are ways for people to learn more about these tax benefits to ensure that they are using them to maximum benefit. For assistance, it can be helpful to speak with an experienced legal provider about these benefits and so that any and all questions can be answered.